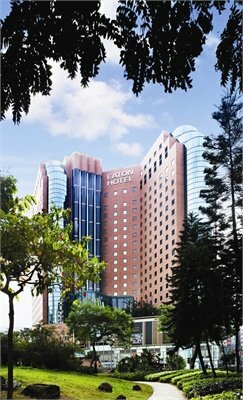 The hotel is well located at the Western District of Hong Kong Island, a traditional real Hong Kong area undergoing rapid changes. Easily accessed by all means of transportation, here is where you find the genuine east meets west, a 5 minute walk from the Hong Kong University Station (MTR). All 307 rooms and suites are not only spacious, but also tastefully designed & furnished. Coupled with the free Wi-Fi facility, they offer unbeatable value to meet the needs of every traveller, business or leisure alike. Harbour Plaza 8 Degrees is located in Kowloon City near the Kai Tak Cruise Terminal and Mongkok area. Minutes to the MTR Station and bustling Tsim Sha Tsui by the hotel's free shuttle bus. Offering comfortable and affordable luxury accommodation with fully equipped facilities for both business and leisure. On Nathan Road only 3 minutes from Jordan MTR. Surrounded by shopping and cultural attractions. The rooms are comfortably and pleasantly designed. The hotel boasts a heated roof-top pool with city views and a wide selection of restaurants. 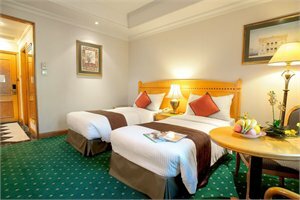 Ideally located on Nathan Road, the hotel is at the city's best location for business, shopping and entertainment. 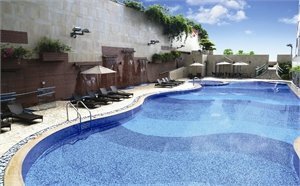 Situated atop the MTR Tsim Sha Tsui station, it is only steps away from Victoria Harbour. The Star Ferry and China Ferry terminal are within 10 minutes walk. Join a local guide on a culinary journey, walking the streets of Kowloon and eating as the locals do. Visit 5 hand-picked locations and enjoy true Hong Kong specialities, while taking in the local sights. Board a cruise boat and enjoy a 90 minute cruise with unlimited drinks around the spectacular harbour. At 8pm there is a 20 minute coloured lights & laser beams display to music that depicts the growth of Hong Kong. Tour will not operate when a typhoon signal no 3 or above or rainstorm red/black warning signal is hoisted. An excellent orientation tour. A half day tour which takes in many of the main attractions on Hong Kong Island. As the City changes so rapidly, this tour enables visitors old and new to create new memories. Harbour Grand Kowloon is situated on the waterfront, next to bustling Tsim Sha Tsui and minutes from the Island via ferry. The Hotel houses 555 elegant guest rooms and service suites, 6 restaurants, a breath-taking rooftop swimming pool and fully equipped gym facilities. 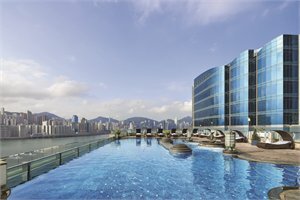 One of the finest 5 star luxury hotels in Hong Kong, The Langham, Hong Kong is a European-style sanctuary located in the heart of Kowloon's Tsim Sha Tsui district. 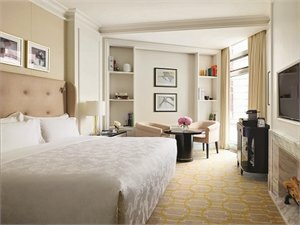 A must for foodies, The Langham, Hong Kong has varied dining options - enjoy an elegant afternoon tea at glamorous Palm Court, experience 3-Michelin star Cantonese food at T'ang Court and authentic New York -style deli food at Main Street Deli, or venture into Kowloon for local dining options. Strategically located in the heart of Kowloon's Tsim Sha Tsui district, with shopping and entertainment nearby, including popular Knutsford Terrace with its many bars and restaurants. Features 347 elegant and cosily comfortable rooms in a restful atmosphere. Only 5 minutes walk to the MTR subway station for easy access to all parts of Hong Kong. 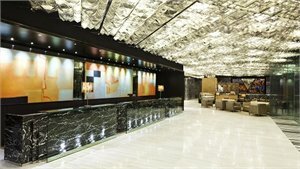 Cordis Hong Kong at Langham Place is a modern hotel located in the heart of Mongkok amongst local markets including the Night Market, Ladies Market and more directly connected to the Langham Place Shopping Mall (with over 300 shops). 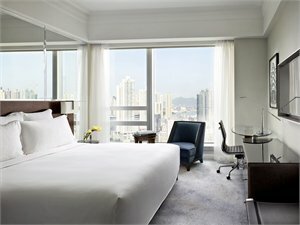 The guest rooms are comfortable and feature views over Kowloon. PACKAGE TERMS & CONDITIONS: It is our policy to present the cost of our holidays inclusive of all airport and government charges. Please accept however that these charges are not within our control, therefore we reserve the right to pass on any increase.. Travel agent professional service fees where charged, will be additional to the advertised prices. Closeout and blackout periods apply over school holidays and peak holiday periods & availability of seats & rooms is likely to be very limited over this time . Payment & ticketing deadline - no more than 7 days after reservation confirmation. If booking is made within 14 days of departure ticketing must be completed within 48 hours of reservations. Please note that any Airline generated ticketing time limit which is earlier will over-ride this. *Child prices are based on one or two children of 2-11 years sharing a twin room with 2 adults (varies by property and room type). Family pricing is based on a per person cost for 2 adults and 2 children (2-11) sharing one room and using existing bedding. Extra night rates are per person.. Valid for sales to 30 Apr 2019. Valid for travel commenced and completed within the period 1 May 2019 to 31 Mar 2020 (unless otherwise specified).International flights are not included, please add best available flights to Hong Kong. Prices shown are based on per person costs in New Zealand Dollars, for payment by cash, cheque or eftpos only. Credit card sales not permitted unless Travel Agent acts as a merchant. Capacity limitations apply and may not be available on all services. Travel requiring an overnight stay in New Zealand will be at passengers own expense. Events beyond our control such as currency fluctuations and changes to the price of aviation fuel may result in prices variations . Strict cancellation fees apply. Packages are based on consecutive nights. For split stays please contact your travel consultant. For full terms and conditions and cancellation fees please contact your local travel agent for more information. Trade enquiries via GO Holidays. ISSUED 18 MAR 19.